Dina’s only chance to keep her inheritance from going to pay her brother’s gaming debts is to marry before her twenty-fifth birthday. 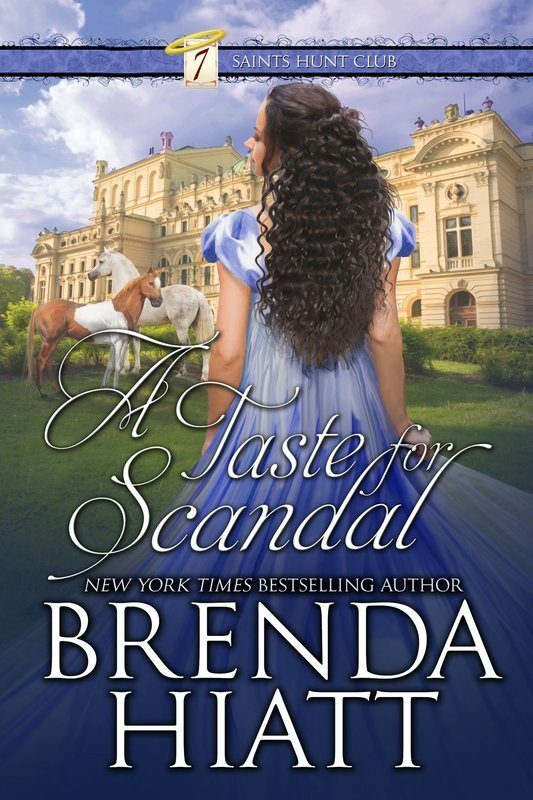 When her carefully planned elopement goes awry, in desperation, she travels to Gretna Green alone. There she finds herself rescuing a naïve young lady from a fortune hunter, which earns the gratitude of the young lady’s handsome—and eligible—brother, who has come in hot pursuit. When he asks her to name her reward, she has her answer ready. Grant Turpin, better known to his friends as Thor, is grateful to the girl who saved his sister’s honor, but is stunned when she demands marriage in repayment of his debt to her. She insists she will not infringe on his freedom in the least, but the more time he spends with her, the less attractive that freedom appears. Instead, he becomes increasingly determined to win her heart along with her hand. Surely spending Christmas with her at his parents’ estate will help him to do just that? 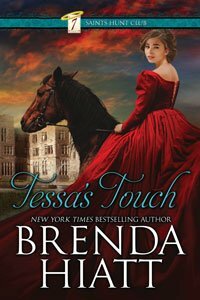 Like Tessa’s Touch, this book is loosely linked to my “Saint of Seven Dials” series and is, in fact, my second book about members of the “Odd Sock Club,” introduced in Tessa’s Touch. “If you’re sure . . .” The relief was back in Violet’s eyes. “I am. I’ll return once it is done.” Thrusting down another surge of guilt, Dina smoothed the skirts of her travel-creased gown and went down. Mr. Plunkett was waiting at the foot of the stairs, resplendant in an impeccably tailored blue coat, gold waistcoat and a voluminous, intricately tied cravat. “What sort of bargain?” he asked, leaning forward, his former fiancée apparently forgotten. An incredulous smile broke across his face. Dina noted dispassionately that while it made him appear more handsome, it also emphasized his weakness —but that was all to the good, for her purposes. Yes, she could control this man. Triumph welled up in Dina’s breast. But before she could answer, a commotion arose outside. She heard raised voices, and then a hurried knock came at the parlor door. “Yes, what is it?” Mr. Plunkett called out impatiently. Dina stifled an unladylike curse. A great big fellow? Silas must have followed her after all. She turned back to Mr. Plunkett, who had jumped to his feet, suddenly pale. “Tell him—” she began, only to be interrupted when the door flew open with a crash. The man who entered was a stranger, though he was certainly large— larger even than Silas. He moved menacingly forward. “Plunkett?” he all but roared. Dina sat as though glued to her chair, all notion of intervening gone. This man was terrifying. It appeared Mr. Plunkett shared her view. “Y—yes?” he gasped. Without another word, the giant swung a huge fist and sent Dina’s would-be bridegroom crashing to the floor. “Name your seconds,” he growled at the heap of tailored blue, gold and white. “But . . . but I—” Mr. Plunkett stammered, looking to Dina for support. “Grant?” Violet’s voice came from the open doorway. He turned to face her, to Dina’s relief. Then she felt a twinge of guilt for that relief, for surely she was better equipped to face this angry colossus than young Violet could be. She rose, ready to leap to her new friend’s defense if necessary. Certainly, he still looked angry enough to commit further violence, as he strode toward her. “Vi! Thank God I found you. What on earth were you thinking?” he fairly shouted. “Have you any idea how frantic Mother has been?” He gripped the younger girl by the shoulders and gave her a shake. Dina quickly stepped forward. “Mr. Turpin, I presume?” she said, mainly to divert his attention until the worst of his anger passed. In her experience with Silas, those first few minutes were always the most dangerous. The large man frowned down at her in pardonable confusion. Dina couldn’t help noticing —quite irrelevantly —that he was actually rather handsome, with waving golden-brown hair and brilliant blue eyes blazing from beneath dark brows. “Who the devil are you?” he demanded, his voice still angry. Before she could answer, a crash recalled the momentarily forgotten Mr. Plunkett. They all turned in time to see him disappearing through the parlor window, which he had apparently forced open with a poker from the fireplace. Violet put an arm around Dina’s shoulders. “This is Miss Moore, Grant, and you mustn’t shout at her. She has been exceedingly kind to me.” She didn’t seem the least bit afraid of her imposing brother. “Has she?” Mr. Turpin raked Dina with a glance before turning back to his sister. Feeling suddenly out of place in this interview, and seeing that Violet was in no apparent danger from her brother, Dina excused herself and hurried out to the inn-yard. Mr. Plunkett was her last —her only —hope. Perhaps there was still a chance that she could intercept him and induce him to marry her. Maybe if they went to another inn . . .
She saw no sign of him, however, so went back into inside to find the innkeeper. Violet and her brother emerged from the parlor as she was questioning the man. “Gone,” the inkeeper said with a shrug. “Hired a horse and headed South. He paid his shot, so I had no cause to stop him,” he concluded defensively, for Mr. Turpin was again frowning thunderously. Despair hit Dina like a wall. She had been so close —so close!— only to have this bullying giant ruin everything. Now her last chance of saving her fortune was gone beyond recall. “Perhaps it’s just as well,” Violet said, making her blink, before she realized that the girl wasn’t talking about her situation. “I’d have liked to think he’d fight for me, but I suppose I’m not surprised. And now you’ve no need to kill him, Grant, and end up in prison, or worse. He turned to examine the other woman more closely. At first, he’d assumed that Miss Moore was somehow attached to the inn, but now he realized it was not so. Her gown, though creased with travel and at least two years out of style, was well made and there was a certain intelligence in her green eyes. She lifted her chin to meet his gaze, but did not smile. No definitely not a servant. “It seems I have cause to be exceedingly grateful to you, Miss Moore.” As he relaxed, it finally penetrated that none of his worst fears had—or would —come to pass. “Yes, we should repay her somehow, don’t you think, Grant?” Violet asked, her natural exuberance reasserting itself. Other Books in "7 Saints Hunt Club Series"